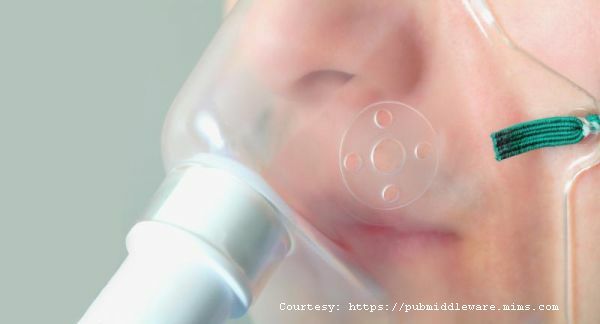 A high intra-operative inspired oxygen fraction (FiO2) might result in an increased risk of postoperative respiratory complications. European Journal of Anaesthesiology has a study to test the hypothesis that intra-operative FiO2 of 80% compared with 30% inspired oxygen decreases the postoperative ratio of arterial saturation to fraction of inspired oxygen (SpO2/FiO2).Secondarily, to evaluate whether an intra-operative inspired FiO2 of 80% increases the incidence of pulmonary complications. INTERVENTION: Maintaining intra-operative FiO2 at 30 or 80% and alternating this management every 2 weeks for a study period of 39 months. MAIN OUTCOME: Minimal SpO2/FiO2 ratio value in the postanaesthesia care unit. Secondary outcome was a composite of postoperative pulmonary complications throughout hospitalisation. RESULTS: A total of 5056 patients were included. Groups were well balanced on all demographic, baseline and procedural variables. Median time-weighted averages of intra-operative FiO2 in the 30 and 80% groups were 43% (IQR 38 to 54%, N=2486) and 81% (IQR 78 to 82%, N=2570), respectively. No difference was found in the lowest SpO2/FiO2 ratio (estimated median difference 0 [95% confidence interval: 0, 0], P = 0.91). The incidence of postoperative pulmonary complications was 16.3 and 17.6% in the 30 and 80% FiO2 groups, respectively (relative risk 1.07 [95% confidence interval: 0.95, 1.21], P = 0.25). CONCLUSION: Intra-operative hyperoxia did not change the postoperative SpO2/FiO2 ratio or the risk for pulmonary complications. Clinicians should not refrain from using hyperoxia for fear of provoking respiratory complications.